A while back I joked in a post about the the conquest of the Papal States about the prime exports of southern Italy being mafiosi while northern Italy exports luxury cars. Economic differences between the north and south were a factor in my review of Gunslinger Girls as well. 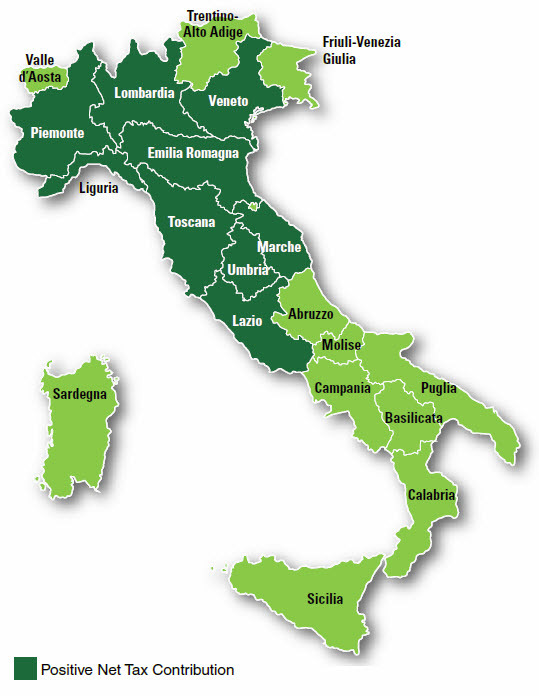 There is a grain of truth in this, shown graphically in which regions of Italy support the others. You could say this is the revenge of the south against the north. When Italy became a nation, the north forced the south into union. Now the south is extracting it's compensation.